Writer's apprentice Lena London is happily working on a new collaboration with her idol and bestselling suspense novelist and friend Camilla Graham, but her joy is short-lived when a dark cloud descends upon the quaint town of Blue Lake, Indiana... Lena's best friend, Allison, is in a panic. 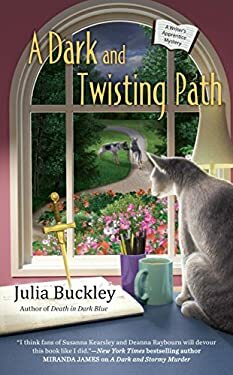 On a walk in the woods by her home, Allison discovers the body of her mail carrier, an argumentative man who recently had a falling out with Allison's husband. Lena quickly realizes that Allison has nothing to worry about as the murder weapon points to a different suspect altogether: Lena's embattled boyfriend, Sam West. Sam was cleared of his wife's murder when she was found alive, and now someone is trying to make him look guilty again. Surveillance video of a break-in at his house shows a shadowy figure trying to incriminate him by stealing the weapon from his desk. Lena and Camilla work on a suspect list, but a threatening note and a violent intrusion at Graham House prove that the devious killer has decided to write them into the plot.